Still here. But I'm still trying to recapture the art of putting words together, both in posts and in writing. I think about what I might write, like fog drifting in from the ocean, but fog can't be captured, it would seem, and the words never make it past my brain. Love you all, and I miss you, though that's my fault, not yours. This is awkward, you've barely got the post up and I'm commenting. Summer must be over. When we walked the dogs at twilight last night, we didn't see any of my little firefly friends. 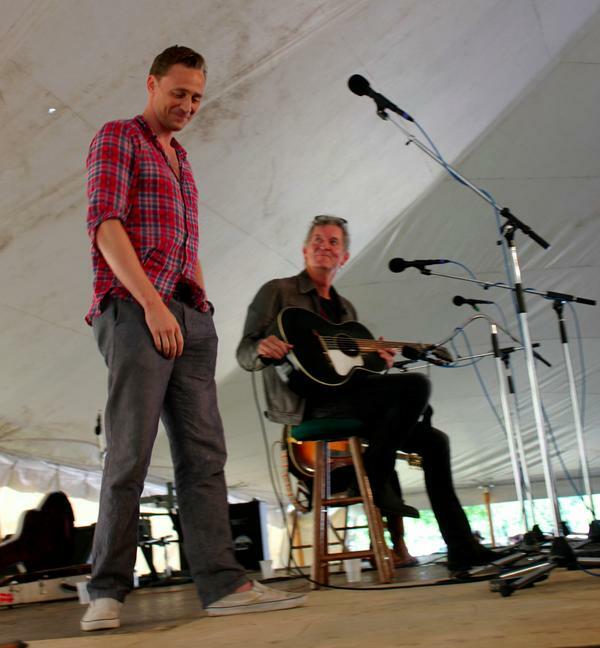 I missed this, but we had Tom Hiddleston at the Wheatland Music Festival earlier this week channeling Hank Williams Sr. Thanks for rising out of the fog, however momentarily. Good to know you're out there. Glad to hear from you. I was actually wondering about you and Nin yesterday. I should have emailed and I'm sorry I didn't.